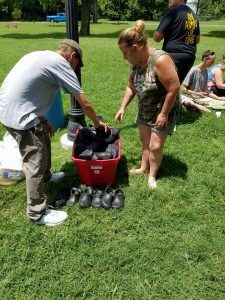 Embassy of Hope has always reached out into our community to offer a helping hand to those in need both spiritually and physically. This is just another way we choose to offer that help. We will be providing a lunch each Saturday at 12 noon. Meals will vary from BBQ to sandwiches. We will also provide diapers for young mothers. Please bring your child with you to receive diapers. 3 what about the weather & cancellations? 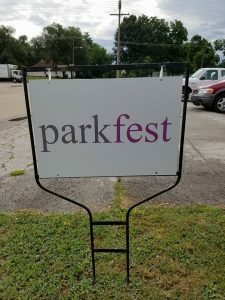 Just know that every Saturday from June 24th through September 9th we will provide parkfest for our neighbors starting at 12 noon. You will only be given this one flyer at the start of the season so make sure you put this on your refrigerator so you can remember to come every Saturday. 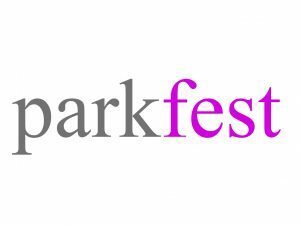 In case of bad weather we will not hold parkfest for that Saturday. So if you do not see us and it is storming then know it has been canceled and you can return next week as weather permits. 4 who is embassy of hope? Embassy of Hope is a church family located at 1316 West Webster Street. 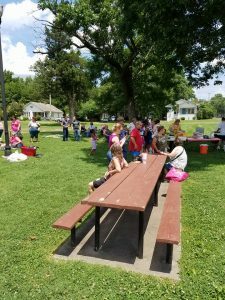 We meet every week on Sunday at 10:30 a.m. Each week we offer further help with a small food pantry and diapers every Sunday as you leave. Wednesday night we have an informal bible study starting at 6:00 p.m. We invite you to come as you are and meet others who are learning how to follow Jesus.